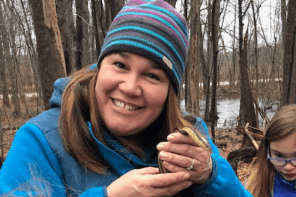 Today, Choice Schools Associates and West Michigan Academy of Environmental Science (WMAES) are bidding adieu to longtime first grade teacher, Clare Shubert. Clare has a vast background with Choice Schools. Beginning as a teacher with Three Oaks Public School Academy (TOPSA) in 2008, Clare served the needs of students in Muskegon for two years before relocating her teaching home to WMAES in 2010. For the past five years, Clare has given the students of WMAES an education beyond expectations. Today, Friday, January 8, Clare finalizes her farewells to her current students and peers, as she prepares for her new journey ahead. But before she exits, she agreed to share with us her love for those she serves. 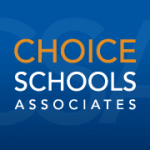 What was your first “wow” moment with Choice Schools? I was previously an educator with TOPSA, and I remember getting a call from Choice Schools saying that a position is available at WMAES. Grand Rapids is closer to my home than Muskegon, and I was completely shocked that Choice knew that! I was impressed that Choice knew where I lived, and that they were interested in making teaching easier for me by asking me if I wanted to relocate. I was surprised that they took the time to contact me. It was special. 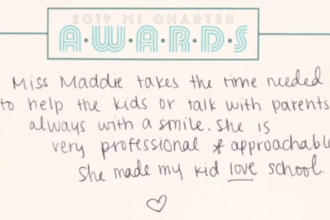 What was it like being nominated for the Michigan Association of Public School Academies’ (MAPSA) Teacher of the Year? I was surprised to learn I was named in the top five teachers in Michigan. I remember calling my parents saying, “I know you nominated me” (Clare laughs). I just didn’t believe that anyone other than my parents would actually nominate me, a first grade teacher, for Teacher of the Year. It was definitely a great feeling to know that other people noticed I was doing something impactful. You know, first grade teachers are loved so much by their students, but there’s not always that much love from the adults; it was nice to get that. I watched the MAPSA announcement video about five times to make sure they were REALLY saying my name. Even though I didn’t win, it was still exciting. I was still named in the top five! It inspired and motivated others at WMAES. I would hear teachers say, “I’m going to aim for winning that next year.” It just never occurred to us that we were an option, or that people were noticing the work that was being created here. You have collaborated on a lot of extracurricular activities with Choice. How has that helped you grow? There are a lot of opportunities to grow and branch out if you want to at Choice – and they want to help you accomplish that! I was involved in I to the We, Character Choices, I was nominated as Teacher of the Year and have held many positions within my school. We are able to share our skills in many different faucets. It’s great to know that Choice cares about you and your job… it’s very encouraging and definitely was an asset with my new position. I’m truly thankful for all the opportunities I’ve been given. Even when I discussed this new adventure with my mom she said, “Everything you’ve done in your career at Choice is being put into this one position for you to showcase your abilities,” and I feel that’s absolutely true! Speaking of Character Choices, what was it like to be a part of the beginning of something so big? When we started Character Choices, I was a new teacher and was asked to work on it. It was the first example of Choice believing in me and giving me additional responsibilities. It definitely made me feel appreciated. It ended up becoming a program where I was the only teacher really left working on it (due to others moving to different schools and careers). I became the one solely involved in managing it. It was challenging and new, but exciting! I loved meeting people from the other schools, and still to this day we are all good friends. What does the Character Choices program mean to you now? It needed to become a full-time position for someone, because it just grew, which was great! At my recent interview for my new position, the lead directors were really excited to learn about my involvement. They were surprised that I was doing it full time with my current teaching position. They didn’t expect a teacher to have so much ownership in a company-wide program, but that’s what Choice offers to their employees! Do you have any advice for current or future Choice employees? Oh… yes! I want others to understand that I REALLY loved working for Choice and WMAES. I wasn’t looking for a new position or to get out of teaching. This opportunity found me! And it was a combination of everything Choice has given me these past seven years. Truthfully, I would have stayed with Choice forever (she laughs)… but I’m excited to start this new adventure. I love Choice and the environment of support and encouragement that is offered and I am both sad and excited to be leaving. But, I’m also grateful. Even when I discussed leaving with Sarah Wildey, the first thing she said to me was “how can we help? How can we support you in this transition?” I was surprised. I was on my way out the door, and Sarah and the rest of the Choice family were still concerned with my interests and feelings. I was still important to them. Clare accepted an exciting position with the DeVos Learning Center at Gerald R. Ford Museum. 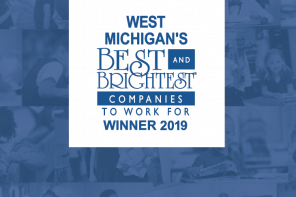 She will be the Director of Programming and Engagement where she will have the opportunity to build a more engaging museum atmosphere for all, but especially for children and schools looking to participate in field trips to the museum. Clare, it is with heavy hearts and teary eyes that we say goodbye to you today! Your journey was an epic part of the Choice Schools’ story, and you will never be forgotten. Your kind spirit, positive energy, and flawless determination makes you who you are – and you are wonderful! Thank you for the impact you have made, and we know you’ll soar in all that you do. Be well. Be happy. Best of luck in your new adventure! 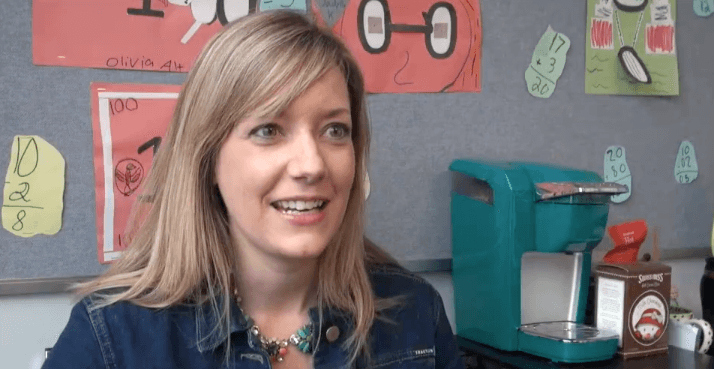 Video: As part of MAPSA’s Teacher of the Year nomination, they did a spotlight video on Clare in her classroom at WMAES.